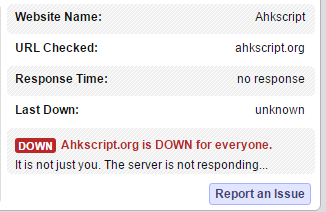 The board at ahkscript.org is currently disabled. We are currently addressing a database error. Please bear with us. We will fix this issue and bring AHKScript.org back online as soon as possible. Please be bare with us. No, please keep your clothes on. * Please bear with us. Any updates / planning with regards to changing AutoHotkey . com forum to PHPBB3 ? Ok, it's now back online. Like joedf, I only have FTP access to this site. Tested on 3 diff pages.